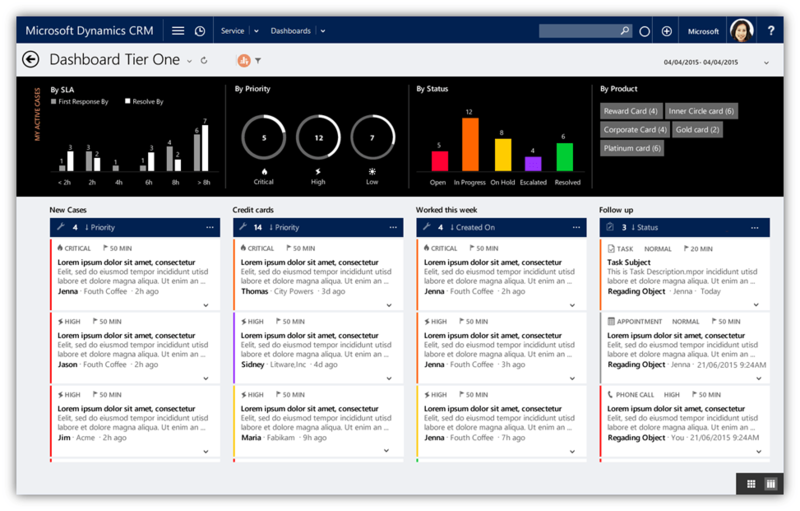 Microsoft Dynamics CRM 2016 is coming out any moment and over here, at the Connecting-Software, we are quite looking forward to the amazing new features it should bring. Microsoft calls this “the most comprehensive upgrade ever for Dynamics CRM”, and says it “includes advancements in intelligence, mobility and service, with significant productivity enhancements”. These are pretty confident words, so let´s review some of the biggest changes that the new version should provide. 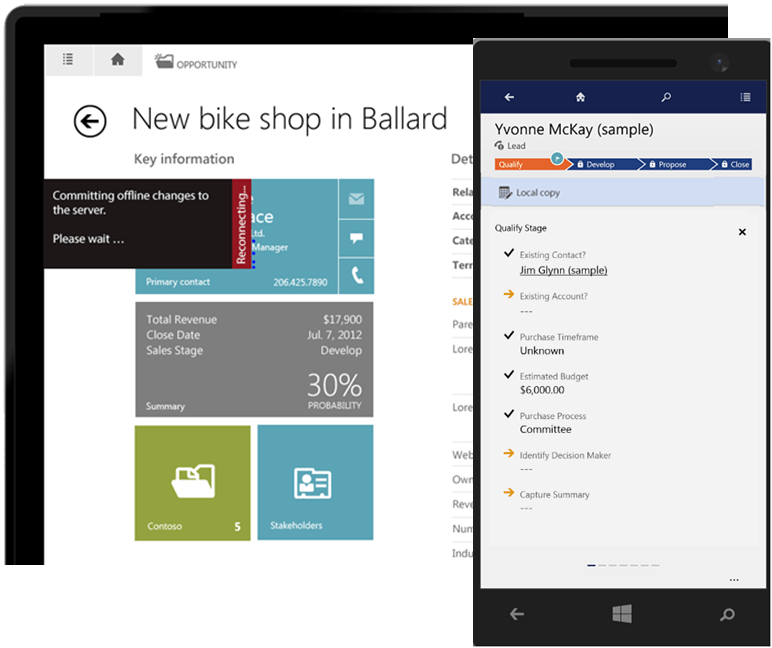 Microsoft has confirmed that Dynamics CRM 2016 is now available! Microsoft Dynamics CRM 2016 (Version 8.0) is an update for both CRM Online and On-Premise editions. The latter include improvements from the ‘cloud only‘ CRM Online 2015 Update 1 that was released earlier this year. CRM 2016 also gives on-premise customers access to the theme records, updated navigation menu, turbo forms and other ‘Carina’ features. Continuing the recent release trend of a ‘cloud first’ release cycle several of the latest improvements leverage Office 365 and are exclusively for CRM Online. This release underlines Microsoft’s investment in mobile CRM with a series of enhancements to its already impressive phone and tablet apps. Create documents such as sales orders, contracts and agreements in a single click using pre-determined Word and Excel templates. Whereas earlier Dynamics releases required users to follow a wizard driven mail-merge process, or enlist developer expertise to design custom reports, CRM 2016 introduces a simplified editor to build templates which can be launched from individual records with 1 click. In some instances this will avoid the need to manually extract CRM data into account summary reports, order forms and other documents. For the initial CRM 2016 release Dynamics uses XML mapping for related entities that are 1 level deep but future releases are expected to expand this to multiple levels. 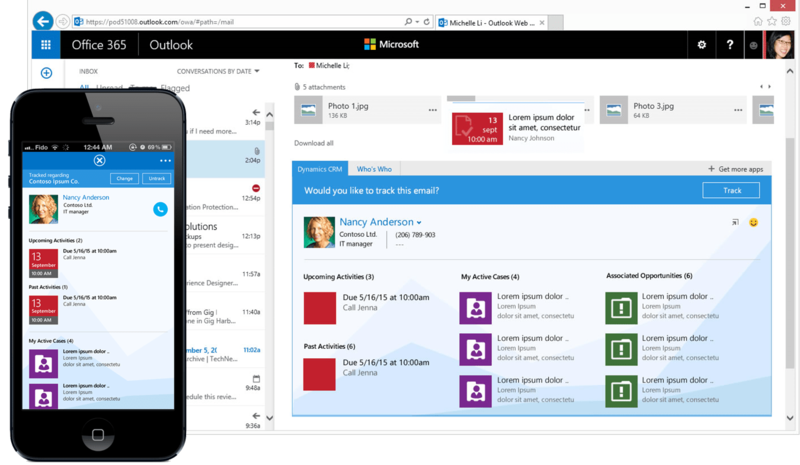 A new app enables Dynamics CRM Online users to view information and track emails wherever Outlook is used. For the first time this includes Outlook for Mac and Outlook Web Access as well as Outlook 2016, Outlook Web Access on Edge, Firefox and IE 11 on PC. Included in the new Outlook connector interface is contextual CRM information about the associated individuals on each tracked email. For example, this may include upcoming activities, open opportunities or active cases. Another enhancement will enable CRM users to click to track Outlook emails before they are sent. CRM 2015 Update 1 features a range of improvements that improved the integration between Excel and Dynamics CRM Online and CRM 2016 takes another step forward with the introduction of Excel templates. Many CRM users prefer to analyse their CRM data in Excel and by working with the new templates data can be quickly extracted into spreadsheets with an immediately familiar design. This offers the immediate advantage of utilising Excel functions including pivot charts, what-if analysis and automated calculations. Navigate the note control on CRM records more easily using a new activity filter control to select appointments, phone calls, tasks, emails and other entries. New integration between OneDrive for Business and CRM means that users can access documents from CRM that are stored in Sharepoint, OneNote, Office 365 Groups as well as OneDrive for Business. Mobile Offline Support: CRM 2016 sees the long awaited release of an offline service using CRM apps enabling users to create, edit or delete entries even when connectivity is lost. Automated sync ensures that updates are applied to the live CRM system. This feature will be available for CRM Online customers with 5 or more Enterprise or Pro user licences. Mobile Security: CRM 2016 makes further extensions to the application’s mobile management with Microsoft Intune integration. This enables organisations to secure their data in instances where users are accessing CRM on their own mobile device, on the flipside it enables users to separate their personal and business data. Utilising Intune management CRM apps will support PIN enforcement, app-level selective wipe and enforced encryption of app data at rest. Preview Mobile Forms: when designing mobile / tablet forms and dashboards the new layout can be previewed directly within the web browser. Mobile Themes: CRM Theme records were added in Update 1 for Dynamics CRM but these customisation weren’t applied to the mobile app. 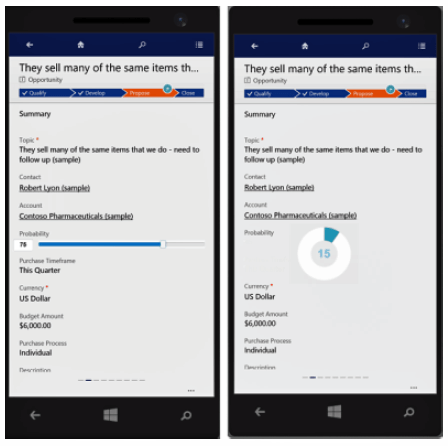 With the release of CRM 2016 theme colours can now be used in CRM mobile for the navigation bar, custom controls (see below) and entity colours. Document Management: CRM mobile users will be able to view Microsoft Office documents that are associated with multiple entities. This includes documents stored in SharePoint or OneDrive for Business which are accessible from opportunities, contacts and other entities. New Mobile UI Controls: optimise CRM forms for mobile apps by utilising new mobile optimised controls including sliders, calendar control and other interactive features. CRM 2016 introduces support for the hybrid scenario of synchronisation between Dynamics CRM Online and Exchange On-premise. If you currently use CRM Online and Exchange on-premises, and you want to synchronise emails, appointments, contacts and tasks with CRM for Outlook, or if you sync email with the Email Router, you can now sync using server-side synchronisation. CRM 2016 introduces a new survey tool enabling questionnaires and other feedback forms to be distributed from Dynamics to collect customer opinions, ratings and views. Through connected workflows automated actions can be triggered when surveys are completed. This can include scheduling an activity or sending automated messages such as an auto-responders, or alerting an account manager. Each survey response is linked back to the individual contact record in CRM and these responses can be aggregated to analyse the survey results. The survey designer will include radio buttons, tick boxes, star ratings and smiley face satisfaction options to cater for virtually any survey type. Landing pages are responsive so CRM surveys can be completed on desktop, tablet and mobile. CRM 2016 includes a new browser based app that is optimised for customer service teams. Among the headline advantages of this new browser app are interactive dashboards specifically designed for service agents. These come in two flavours. Multi-stream (tier 1) dashboards combine CRM views or case queues while interactive charts provide a visual snapshot of the service metrics that are measured. As implied, single-stream (tier 2) dashboards feature one data stream from a CRM view or case queue with additional tiles providing other headline stats specific to the cases each user is responsible for. 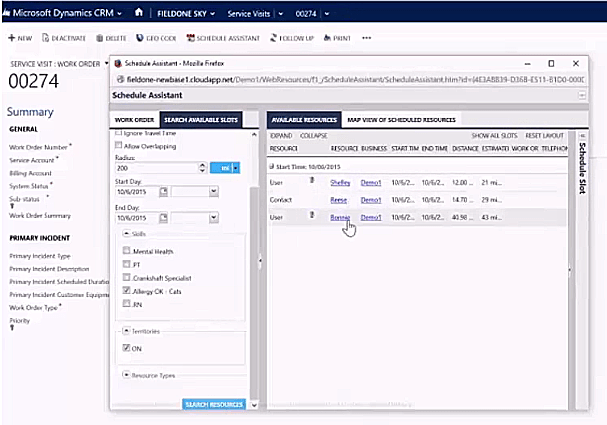 In addition to interactive dashboards the new service app opens up guided case management processes in a fly-out style to expand stage steps. This is shown alongside a filtered case timeline with full access to the customer record. The new service hub uses a similar layout to the CRM tablet app via a browser to give service desk agents a streamlined interface which pulls together more information cutting down on user clicks and improving navigation. Enhanced Knowledge and Global Content enables organisations to document and distribute a single source of knowledge throughout their teams. New authoring and management processes simplifies the process to quickly share best practice and see contextual solutions to frequently encountered issues. Following its recent acquisition of Field One, Microsoft has wasted no time in bringing its field service management capabilities into Dynamics CRM. Field One helps organisations improve service delivery by focusing on the scheduling of work orders for field based personnel through its scheduling engine and schedule board. Leveraging existing service capabilities, FieldOne Sky enhances CRM with new entities and adds an intelligent scheduling service forcalculating and optimizing work orders making it an ideal solution for any company that is searching for better scheduling and field service tools. As well as work order management, FieldOne Sky adds further CRM capabilities for asset management, procurement management, and agreement tracking. Field One is mobile compatible and works across many of the devices found in field service management featuring a mobile app for field service workers. Field One is a cloud service built on Microsoft technology and integrates with Microsoft Office 365 and Microsoft SharePoint. This is available at no additional cost for Microsoft Dynamics CRM Online Pro customers via a special agreement with Field One though it doesn’t form part of the permanent Pro user entitlement. FieldOne Sky is enabled and installed from the Office 365 portal. We understand Field One Sky will also be released to on-premise CRM users in 2016.
Business Rules and Business Process Flows were added to Dynamics in CRM 2013 but previously these haven’t work too closely in tandem. For example, for requirements to invoke a form action (e.g. set a field as mandatory) when a Business Process Flow is set, or when a stage is reached these requirements would require custom code. With the release of CRM 2016 standard Business Rules can now handle this process. Let’s says you have two Business Process Flows for a lead entity that reflect different products, Product A is sold exclusively to the domestic marketing and Product B is sold worldwide. The form contains a field called ‘Exporter’ which is hidden by default as most sales are domestic and the default process flow is for Product A. However, when the international business process flow is selected the ‘Exporter’ field should be visible and set as a mandatory field. Thanks to Business Rule ‘Conditions’ this process can now be applied using the inbuilt functionality of CRM 2016 without the need to resort to external development. Create Office 365 Groups from any record in CRM Online to collaborate with CRM and non-CRM users around any topic including projects, opportunities, tenders and other processes that involve multiple people. If you’re not familiar with Delve it’s a new Office tool to search and discover documents across a company which utilises machine learning to connect people and create contextual views of documents that are likely to be of interest to individual users. This includes documents stored on SharePoint and OneDrive for Business. See a single list view of results sorted by relevance across multiple entities. The legacy Quick Find search will remains available renamed as Categorized Search. This will initially be available as a preview for select clients before general release in the first half of 2016. Users can now open various office apps like SharePoint, OneDrive for Business, and Office 365 Groups for any CRM record. All of that within CRM or the CRM mobile app. It´s good to hear Microsoft is working hard on improvement of the out-of-the-box integration for their other in-house products. However, there is still no info about fixing the problem with SharePoint integration. Lack of ability to modify records while offline is the main issue of current official Dynamics CRM mobile app. That´s why we decided to implement the offline support inside our own CB Mobile CRM app allowing our partners to use Dynamics CRM on mobile even without immediate internet connection, for instance in the roaming or in places with no internet connection. Microsoft stated that the Dynamics CRM 2016 version will finally fix this issue, so we are really wondering how well will it work. Similarly like our app, all modifications should be stored inside mobile memory until the users maintain internet connection and sync them afterwards. Another integration improvement – this feature should help executives and particularly sales people to do things like calculate commissions or manage a sales forecast inside the CRM. All of that without the need to export or switch to Excel. 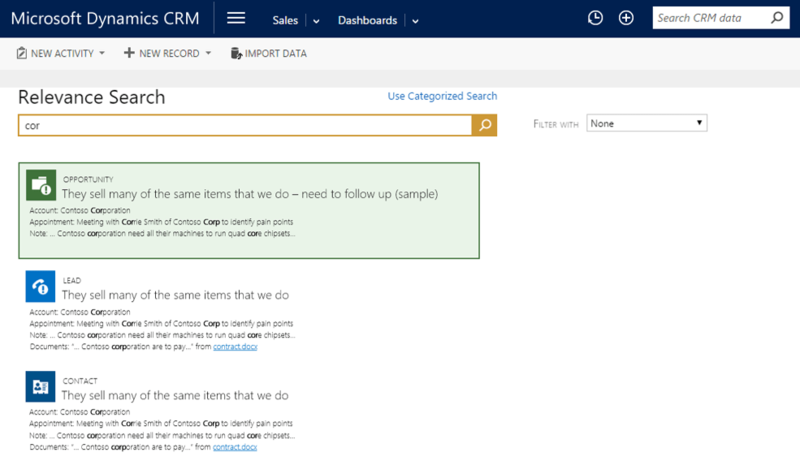 Documents based on CRM data can now be built inside Dynamics. People don´t need to manually extract CRM data for documents like account summaries, quotes, orders or invoices in Word. This is quite a big topic for Microsoft, but we´re really wondering if this feature will be much appreciated. Microsoft wants to integrate sales activities, accounts and opportunities into Cortana to display what´s most relevant to salespeople at any time. Only time will show the real benefits of this cute feminine A.I. 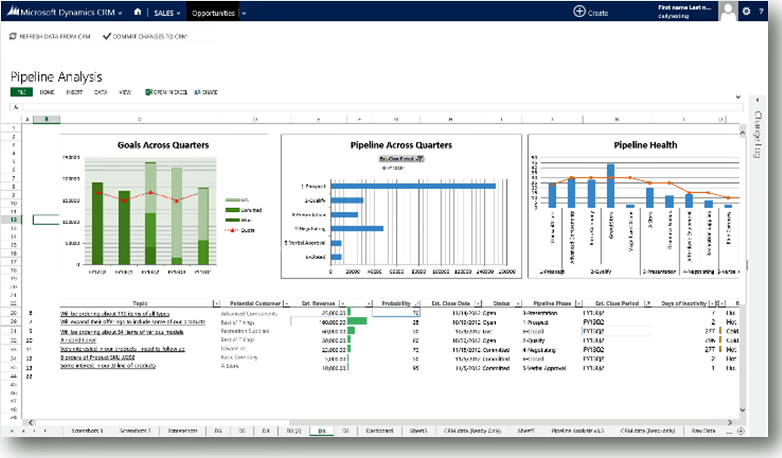 inside Dynamics CRM. The new Dynamics CRM Online 2016 includes an n-product and context-based learning layer. This should speed up the learning process that comes with every new release so that clients can get back to their normal day-work much faster after the update. December 24, 2016 in MS Dynamics CRM, Technology Review.